Oh loves, my title says it all. I truly am a hot mess today. Remember my bike woes from Tuesday? I should have taken that as a sign that this week was not mine for riding. I've always known I would fall off or crash my bike at some point. Knowing doesn't make it hurt any less. I took Billy and his sister to the airport this morning to head down to southern California to attend BlizzCon, or as I put it, nerdfest, a video game convention. I then picked up my bike from the shop. So happy to have it back, I decided to take it out on my triathlon route, a 14 mile loop with an incredibly challenging hill climb smack in the middle. I was making great time, had powered up the hill, and was feeling the burn. At mile 12, my ear bud cable attached to my phone had come out of my bento box, a small catch all bag that's attached to the top frame of my bike. I took my right hand off the handle bars to push it back in so it wouldn't irritate my leg. While I was one-handed, I turned a corner, which happened to have a soft, sandy shoulder, which I rode directly in to. If you have ever rode on sand, you know it's incredibly difficult to steer or balance, so I of course skidded out and crashed. I would have just put a foot down to try to stop, but I have those nifty pedals that clip to your shoes, and that didn't help at all. 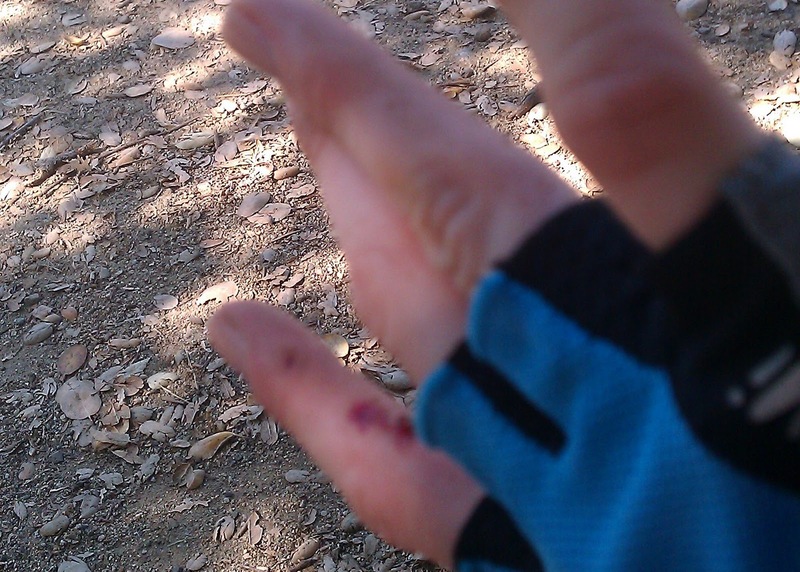 Shaking, I extricated myself from the bike, and began to assess the damage. Bike seemed to be in fine condition, just a bit scraped up. My left shoe cleat was loose from having torn my foot from the pedal, and I was hurting in all sorts of places, particularly my hip and my right index finger. I sat down on a nearby bench, and tried to see if all my parts were in working order. 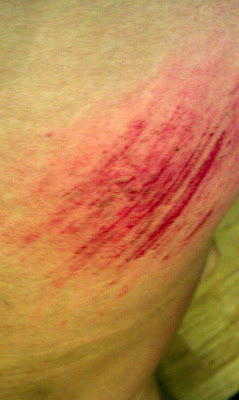 My left hip was on fire from deep road rash scrapes, and my left upper arm and elbow were scraped up but not bad. The worst part? 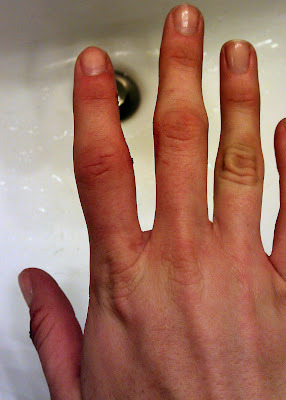 The immediate swelling in my right index finger, which had gotten caught in the bento box, then ripped out, was bleeding and not feeling so good. I palpated and bent it, moving it around. Riding the remaining two miles home was a slow going and painful process, but I made it. Want photo proof of my hot mess-ness? 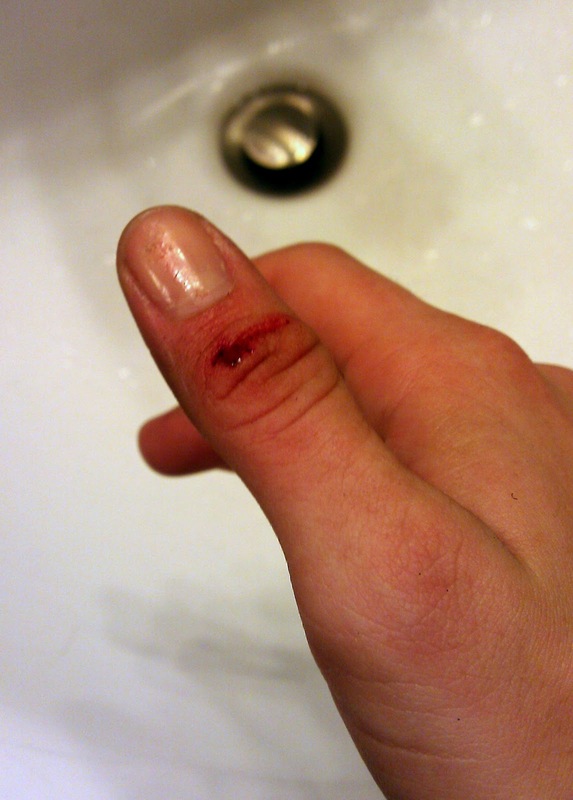 Oh well, that's the first thing I thought to do when I got home, even before I gingerly showered, screamed like a little girl when I poured peroxide over my open wounds, and band aided what I could. On the trail while recovering from the crash. Taking off my riding gloves later was a challenge! 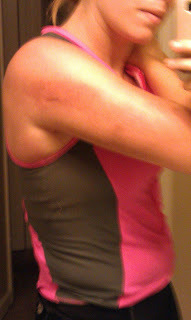 showing off my upper arm and elbow road rash, sorry blurry pics from my phone, I'm bad left handed. My cut up thumb and swollen index finger. Check out that middle digit. 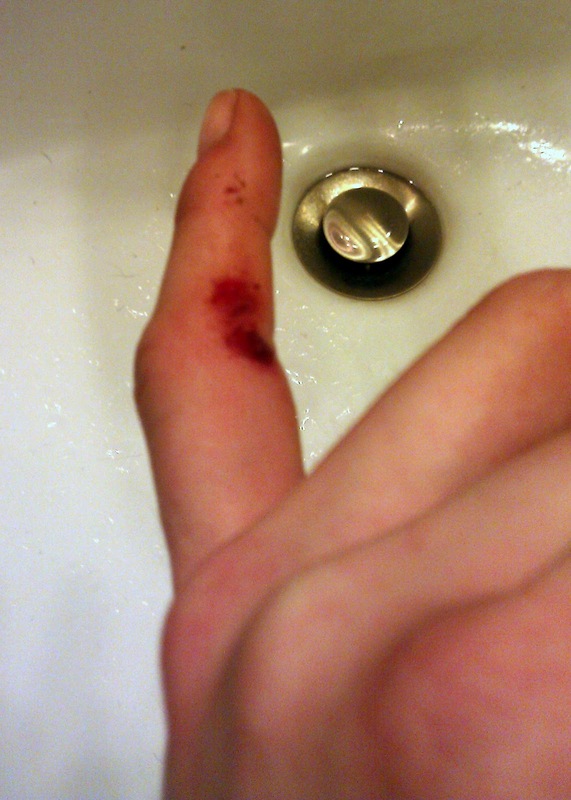 Bloody index finger. Those gashes are crazy, not sure what exactly caused them. 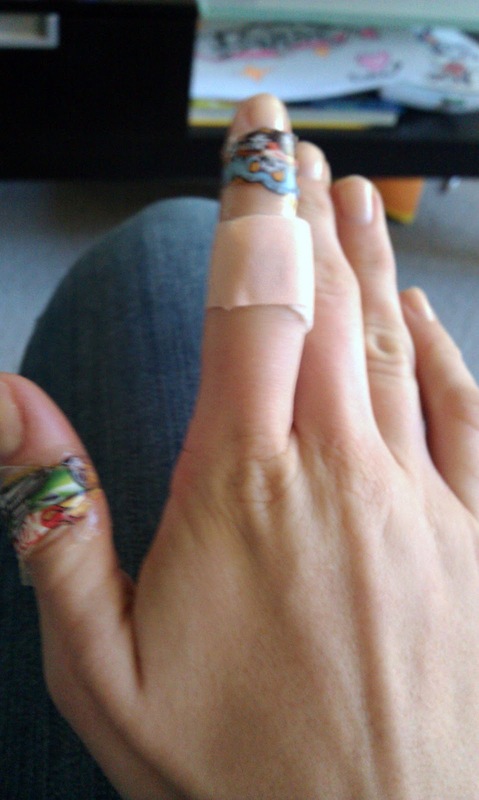 Rocking the Hot Wheels band aids I got for Billy. He says they make me more epic. You know what's really depressing? All I wanted was to be taken care of and nursed back to health. Unfortunately, Billy won't be back until Sunday night. So I did the next best thing, I called my mommy. Brandon told me about your accident earlier and then I saw it on fb. Looks painful! Props to you for not breaking down in tears on the ride home. I for sure would have!! Hope you will be feeling better soon- will pray for you tomorrow!! Oh man, I have crashed more than once. It's always so scary! At first your adrenaline keeps you going but later it's not so great. Hope your appointment goes well tomorrow! Plus now, you have some awesome road rash. Oh my goodness!! I hope that you're ok! 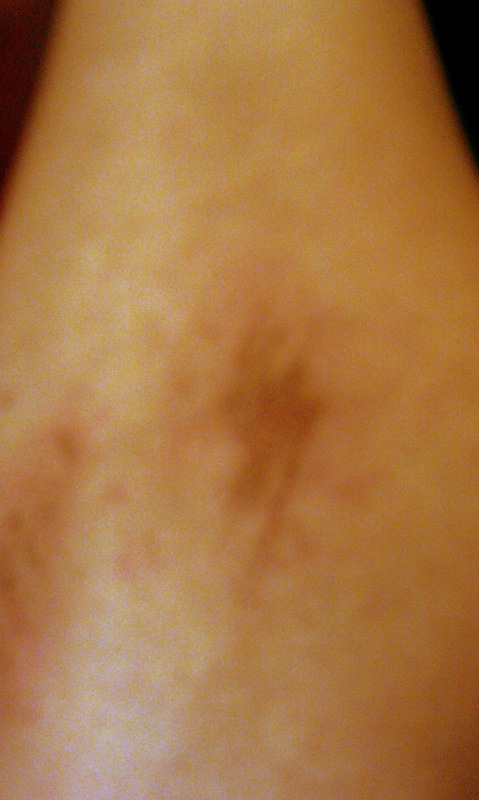 It definitely looks like it was a scary, and painful, day! Sending you healing, good vibrations!!! Ah Adrian. You poor thing, I am so afraid to fall when riding. :( Hope you feel better soon. hugs. Good luck tomorrow. On no!! Poor you!! That looks painful! In all my falls (there have been a few) I have never gotten road race- it looks sore. Hope your hand is okay! Alice the Camel has....2 humps!